It’s incredible to think that through his tenure in WWF, Jake “The Snake” Roberts never held any championship even once. Admittedly in his own words, Roberts said that the championship belt was just a prop, and he didn’t necessarily need it to further himself as a character. He was right in many ways because he was one of the very few characters like The Undertaker who never really needed a championship to feel special. He was special in many ways primarily due to his masterful character work. During that era, a lot of heels and babyfaces would shout on the mic and be as loud as they could to get their point through. Roberts, on the other hand, was a lot more calm, soft-spoken yet sinister at the same time. You needed to pay attention to what he said, and his promos had a lot of impact going by the “less is more” rule. As a heel, he was the most hated man in the wrestling business, and as a babyface, he was as loveable as one could be. It was the subtleties of his character that made him great, and as we know, there were a lot of demons that he had to deal with throughout his life. Thanks to the help of Diamond Dallas Page, he got his life together and has been on track since. 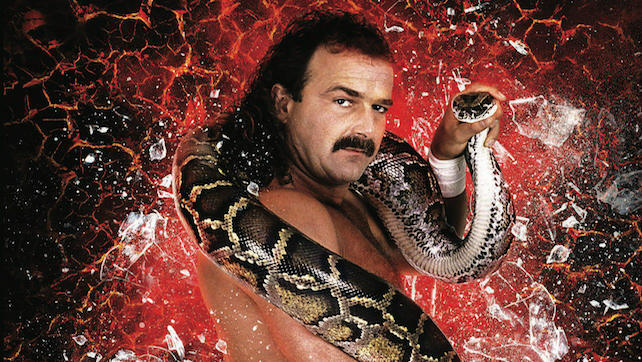 We look at some of the great moments of Jake “The Snake” Roberts.